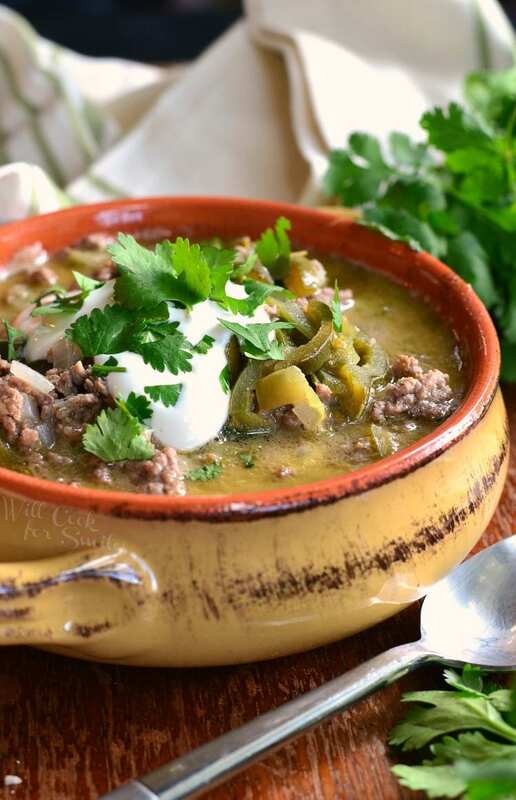 “Mmmm” is the only sound you will hear at dinner when you serve this Beef and Poblano Peppers Enchilada Soup. So much flavor, your taste buds will be in heaven. 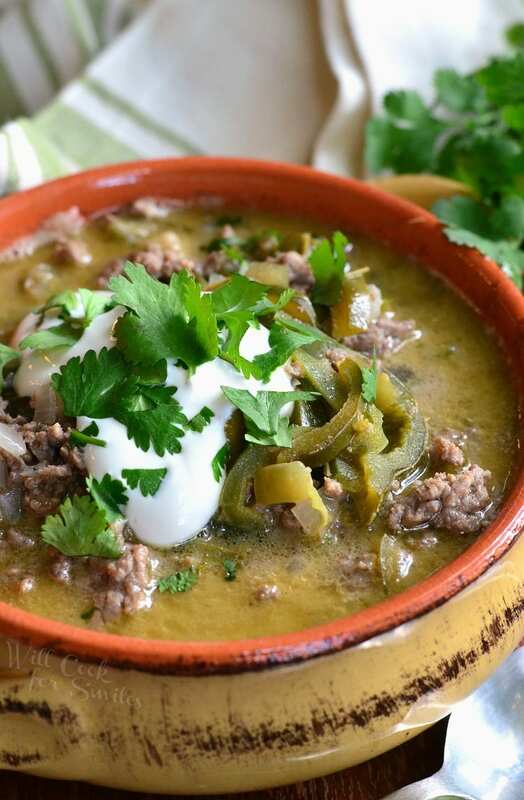 For those of you who are wondering why I named this soup “beef enchilada soup,” it’s very simple. 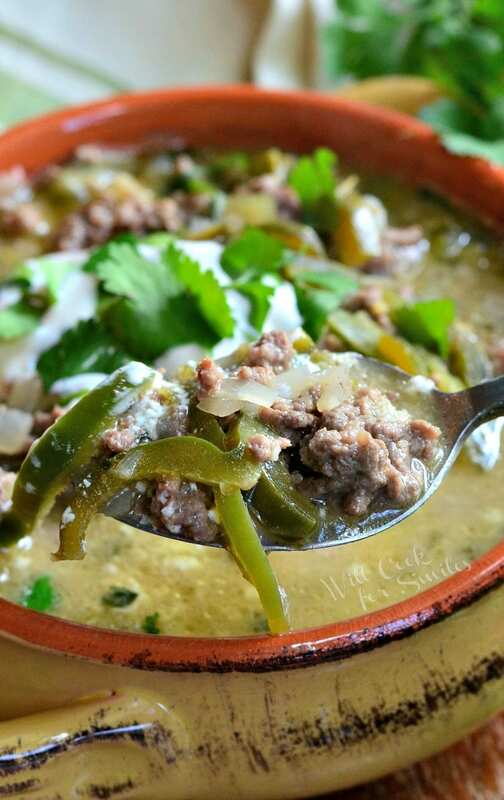 One of our all time favorite enchilada dishes is my Beef Enchiladas Verde. 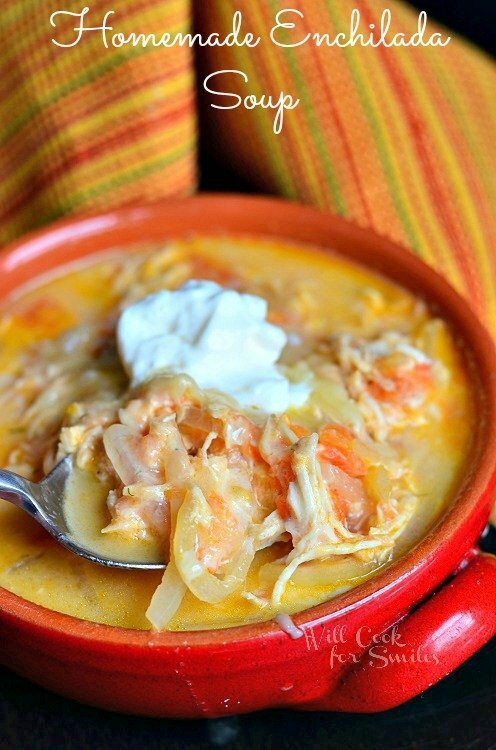 They are absolutely delicious and there is no surprise that it inspired a soup. 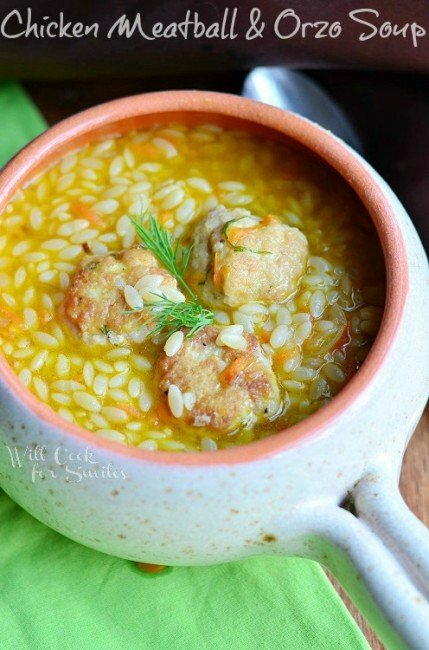 With the fall season officially starting yesterday, I thought this recipe would be a great one to share as my first new soup of the season. It’s hearty and filling, yet it’s not heavy on calories. 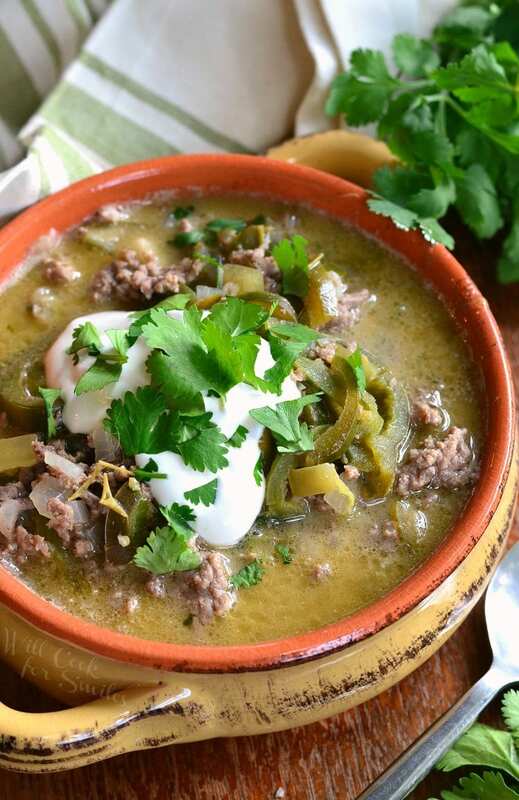 It’s loaded with fresh veggies, some spice from peppers, and of course, can’t miss the cilantro. Wonderful tasting soup all around. If you’re feeling like making this soup taste even more like my beef enchiladas, stir in some shredded Monterrey Jack cheese before serving. You can also add some crunchy tortilla strips on top. To make tortilla strips, you can either fry them or bake them. Just cut corn tortillas into strips and fry them at 350°F for about 40-45 seconds, or bake them at 400°F for 5-8 minutes, until golden brown. 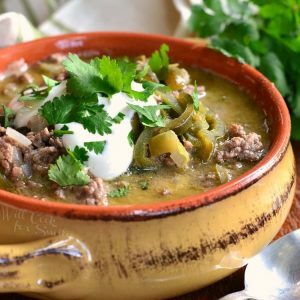 Beef and Poblano Peppers Enchilada Soup. Preheat a medium pot over medium heat and add oil. Add onion, tomatillos, poblanos, and jalapeno to the pot. Mix and cook veggies until softened. 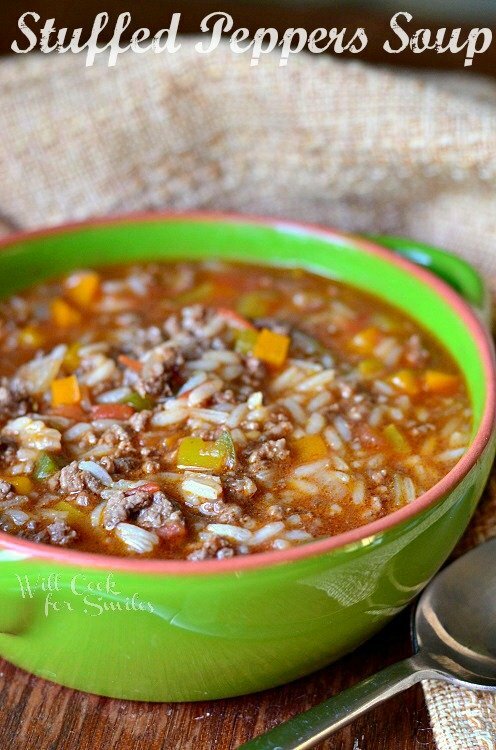 Add ground beef and break it up with a wooden spoon. Cover the pot with a lid and cook for a few minutes. Stir well and add salt and pepper. Cover and cook until beef is no longer red. Add beef stock, cumin, and chili powder. Mix well and bring to boil. Once soup starts to boil, turn down the heat to medium-low. Stir in cilantro and cook for about 15 minutes. Taste to see if you want to add any more spice or salt. 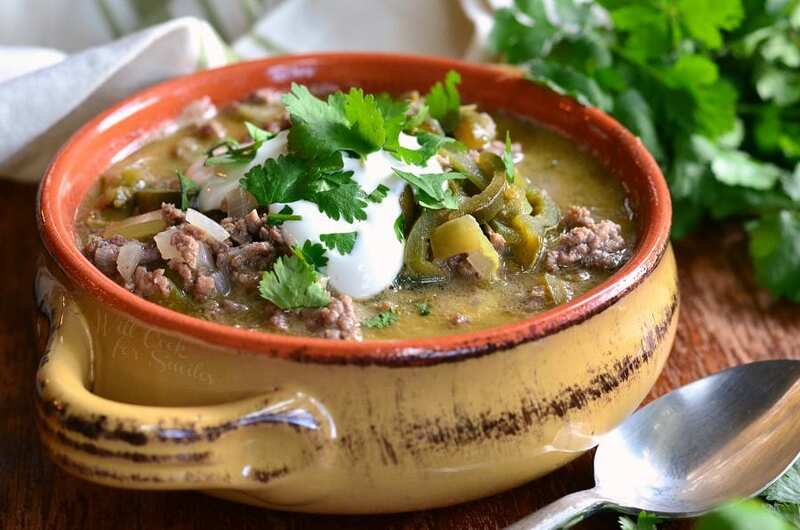 add a dollop of sour cream when serving the soup.